First of all, just so there's no confusion, I want to mention that you may usually see this religion spelled "Taoism" but as it's pronounced "Dow-ism", I'm going to use the spelling "Daoism" which is also common. 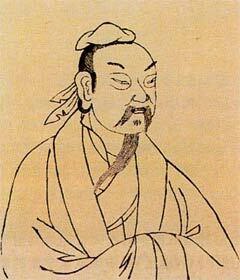 Anyway, Daoism, much like Confucianism, is the descendant of the beliefs of ancient Chinese sages and thinkers. Unlike Confucianism however, Daoism finds it’s basis not in the rules of society but in the escape from them. Daoism is a religion of freedom, of the wandering sage who lived out life governed by spontaneity, roaming the mountains with the curiosity of a child. Woven with tales of immortals who ride the winds on the wings of dragons, Daoists are a people who developed partially out of the insistence that the rules and regulations so prized by Confucius where a trap that sucked the life out of people. Although there are different sects of Daoist thought there are also things that most Daoists will agree on, the first of which being that life is absolutely beautiful and is meant to be enjoyed rather than seen as a predicament or as the step before a next life. The problem they argue is not sin or even human corruption, but rather lifelessness. Most of us they say, get so caught up in being what we think society wants or expects us to be that we forget who we really are. Daoists rather are champions of humanity in its most natural state so it should come as no surprise that they are also huge fans of nature. 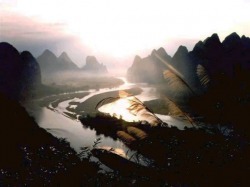 In fact many of the old Daoist sages where known to take off into the woods or mountains where they would live lives of simplicity, modeled after the effortlessness of nature around them. Different sects of Daoists incorporate different techniques into their practice including everything from dietary regimens, to breath control, to visualization techniques. I’ll delve more into the specifics of certain sects as we go, but first let’s explore the foundations that pretty much all Daoists agree on. Dao - The “Dao” is a concept which Daoists insist is so powerful that it can never be put into words. 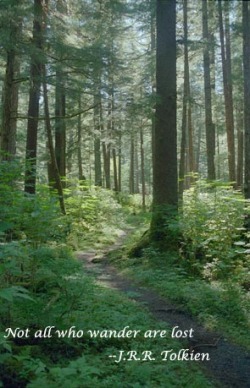 The Tao Te Ching opens by saying "The tao that can be told is not the eternal Tao. The name that can be named is not the eternal name." That said it’s a little tricky to describe. 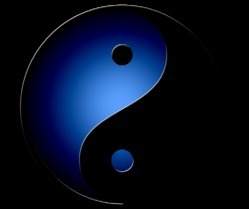 It literally means “way” or “guide” but what it is can be thought of as a force that all of life is a manifestation of. The easiest way for me to think of it is that it's as indescribable as the glory of God. Daoists believe that everything is infused with the Dao, which is therefore alive within us all. They say that the key is to live a life of balance, boldly being who we really are; free, authentic creatures who dance with the Dao and therefore become fully human. Followers believe that when we are born we are in perfect balance with the Dao and so much of the theme of the religion is a return to the perfect innocence and wonder of a child. Qi- You may have also heard of this referred to as “Chi”. Basically this is the energy flow that exists in all of life. Yu- Wandering or playing. Both are celebrated as joys and marks of the “Zhenren” or genuine person. De- Also known as “Te”. This is actively living in accordance with the Dao. It means being yourself rather than forcing yourself into a mold to fit someone else’s preference of who you are supposed to be. It is also sometimes used to describe virtue. Wu Wei- One of the basic tenants of Daoism, wu wei is described as “inaction” or “effortless action” which doesn’t imply laziness but rather suggests the power of working with life rather than against it. As the Tao Te Ching says "Yeilding is the way of the Tao." and "The Master allows things to happen. She shapes events as they come." Dead, they are brittle ad dry. is a disciple of life." Before and after follow each other." What does it mean? What I took from it, among other things is that it's the answer to the question "Why does evil exist in the world?" The answer is that without it good couldn't exist either. If there was no evil, good would be good...in comparison to what? This idea also plays a huge role for the Daoist whose constant quest is for balance in life. A good way to think of it is to imagine life as a sail boat out on the sea. The times in life we strive too hard could be thought of as a sail that is catching too much wind. On the other hand laziness can be thought of as day where the wind doesn’t seem to blow at all. Neither extreme is helpful, but only the perfect balance between the two. Only when the sailor is able to capture just enough wind can he get to his destination. 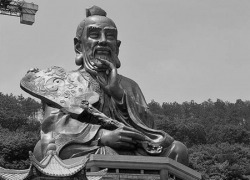 Daoism as we know it is said to have been founded around the 3rd or 4th century BC by a gentleman named Lao Tzu (also sometimes spelled Laozi). However this is probably a bit of a misconception because Lao Tzu, like Confucious, was more likely the first person the write down an ancient system of thought, rather than the first person to actually come up with it. Although some scholars believe that Lao Tzu was actually a group of people using a pen name, many Daoists do believe Lao Tzu was an actual person. Legend has it that he was born an old man, Benjamin Button style. Regardless, one day Lao Tzu decided that society was a trap and that he would have no more part in it. So he set out for the Western mountains to pursue a life of wandering never to be heard from again, at least not in a mortal sense. On his way out of China however, he was stopped at the border by a guard who recognized him and asked him if he’d mind jotting down a few thoughts before he left. What he came up with was what we know today as the Tao Te’ Ching which is said to be the most widely translated book other than the Bible. It discusses many principals which still hold true in Daoism today such as the concept of polite society as a trap, the virtue of non-struggle, and nature as an example of harmony. Zhuangzi is both the name of one of Lao Tzu’s early followers as well as the name of the book he penned at least part of, though scholars suspect his followers may have compiled parts of it as well. Regardless of who came up with it, the Zhuangzi scores a place in the theology hall of fame as one of the funniest scriptures written in any religion. Zhuangzi was said to have been quite a character and preferred to get his ideas across in the style of fun stories and satire. He was a big fan of techniques like “sitting and forgetting”, a process by which, you guessed it, you sit around and attempt to forget all of the rules society has pounded into you over the years. Zhuangzi dismissed lists of rules and regulations with the wave of a hand, insisting that if everyone would quit trying so hard to figure out what “goodness” was then we would all naturally be good. An advocate of simplicity and spontaneity, Mr. Zhuangzi didn’t choose to concern himself much with death and was found, as a famous story goes, banging out a song on a tub a few hours after his wife’s funeral. Death, he argued was nothing to fear, so why get all bent out of shape over it?